When it comes to Advent calendars, I am more about the Christmas Countdown than the extra treats and trinkets that fill the calendar. I’m not knocking anyone who likes the prizes. It’s hard to find one that isn’t filled with milk chocolate. With a milk allergy, I don’t need the daily reminder that I’m stuck with a relish tray at the Christmas party while everyone else is wolfing down yummy milk chocolate desserts and treats. But Christmas is the time of year I like to honor my Danish heritage and Danes love their Advent Calendars. Danes also love burning candles. 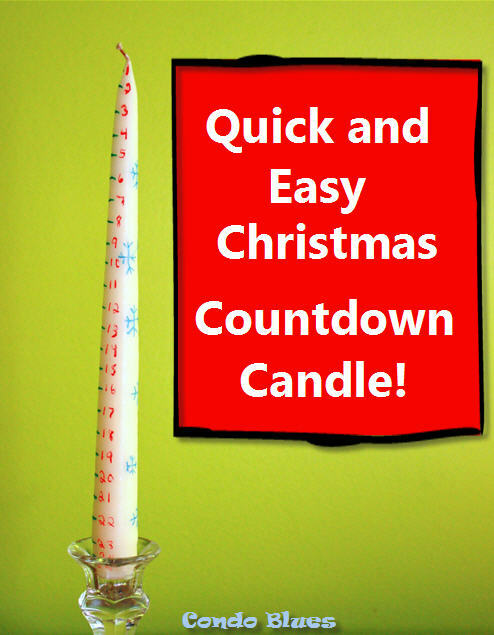 That means Christmas countdown candles are very popular in Denmark. Instead of opening a little door or pocket, you countdown the days until Christmas by burning the candle to each marked day until Christmas Day. Unfortunately, Advent calendar candles are hard to find and when I did find some on line they were $30 for a decorated taper candle. 30 bucks a pop? 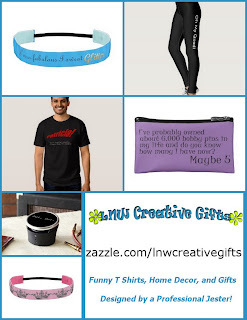 I can make it for less! Paint pens, colored permanent markers, or DecoArt Glass Paint Markers - I used all three because that’s what I had in the colors I wanted to use to decorate my Christmas candle. They worked equally well. 1. 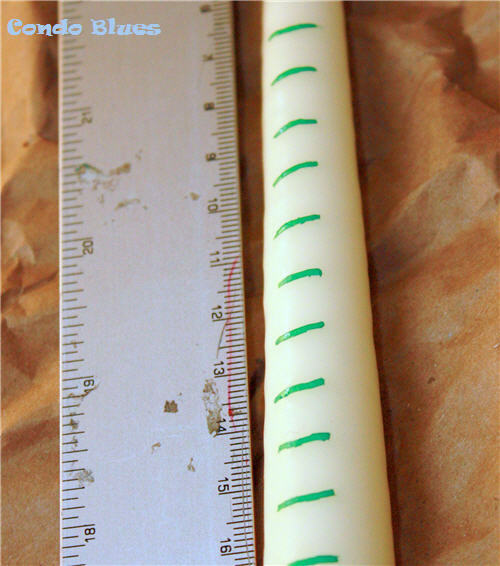 Place the ruler beside the taper candle and use the markings to determine where you want your date lines to be on your candle. To make it easier on yourself. 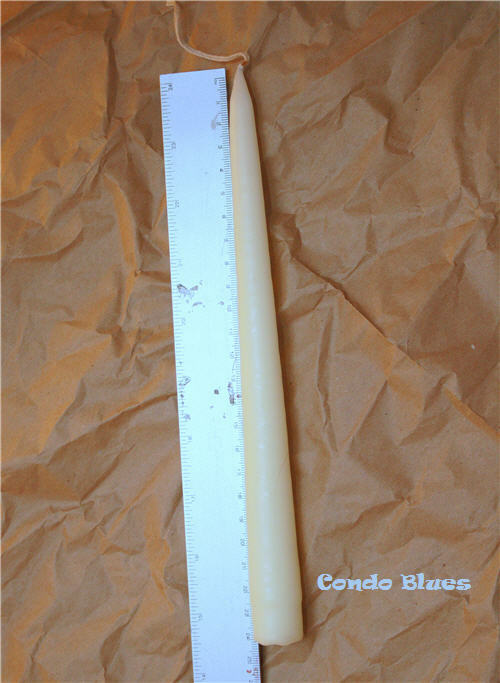 Try to use a 14 inch or longer candle. I used an unlit candle I already had. I had to fudge the lines for December 1st and December 25th since I used a 10 inch candle. It will work out in the end because we don’t have our decorations out or up until after December 1st and our December 25th meal is usually a buffet. 2. 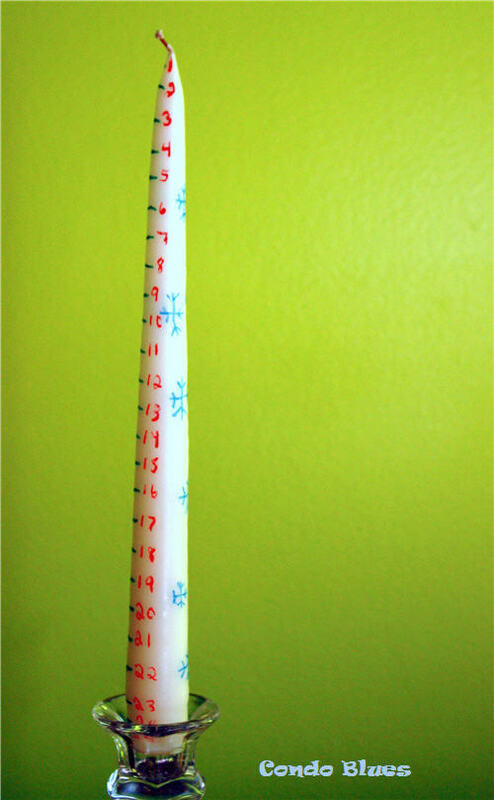 Use the paint/marker of your choice and using the ruler as a guide, draw 25 evenly spaced lines on the candle. Allow the paint/marker to dry. It should only take a few minutes. 3. 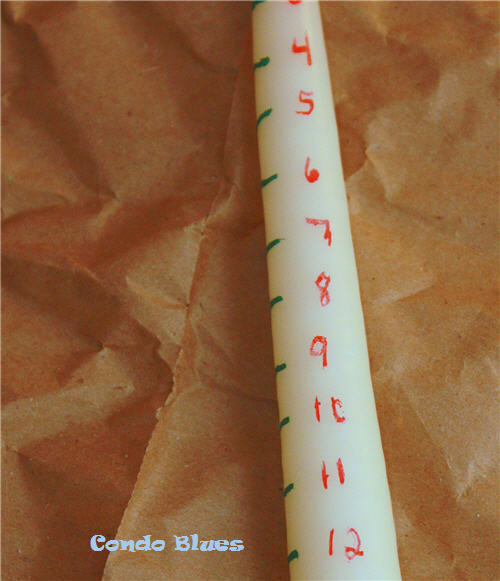 Use the paint/marker of your choice to write the numbers 1 through 25 besides each painted line on the candle. Allow the paint/marker to dry. It should only take a few minutes. I went over some of the numbers a second time after this first coat of paint dried. 4. If desired, use the paint/marker of your choice to decorate the rest of the candle. Allow the paint/marker to dry. It should only take a few minutes. 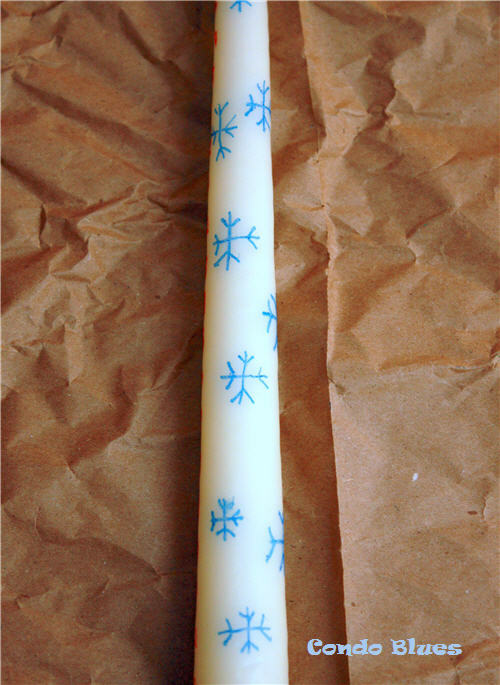 I attempted to draw snowflakes on my Christmas countdown candle. They turned out like Miss 10 of 10’s drawing style. She’s two. 5. To use: Place your handmade Advent candle in a candle holder. Light the candle every day starting December 1st and allow the candle to burn until the next day’s hash mark on the candle and blow it out. Repeat every day until December 25th. I keep our countdown candle on the dining room table and burn it during dinner. How do you countdown the days before Christmas? 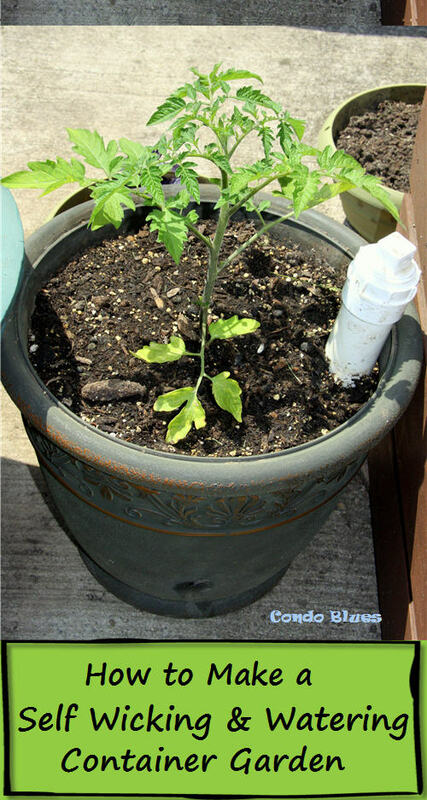 If you'd rather buy than DIY, check out the options below!